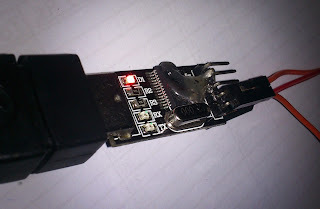 As we compiled the kernel modules needed for USB to UART modules in the previous post, Here I'm going to show how to use them. 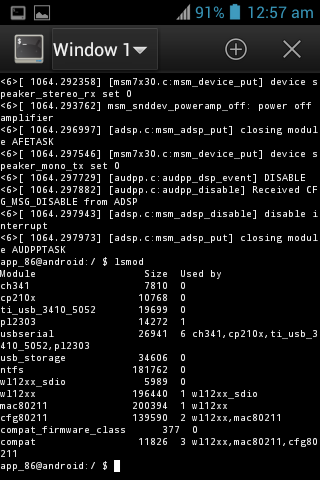 You can mount /system partition on the phone with read/write permisions. 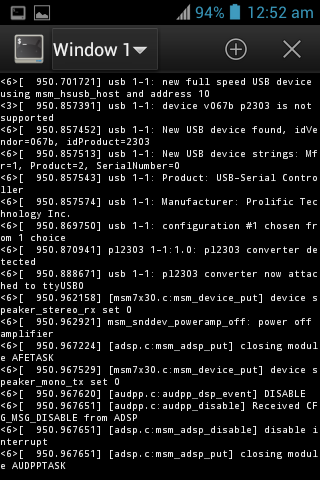 I'm using init.d script to load these modules in the bootup, if not you will have to load them manually each time. 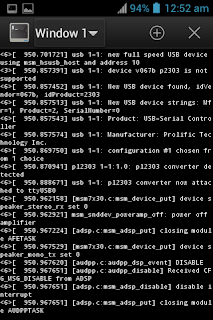 Now everything is done and when you plug an USB to UART module, it will be taken as /dev/ttyUSB0. 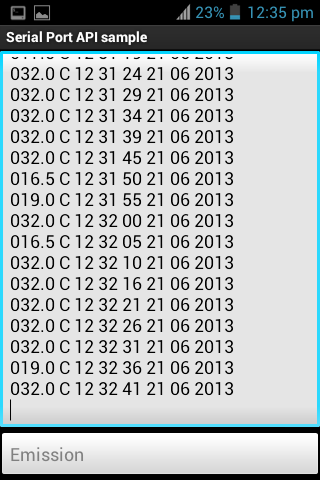 You can use it with any application like on any Linux distribution. 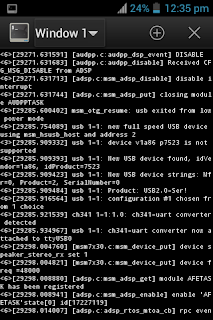 You can do a lsmod to verify whether the modules are loaded. 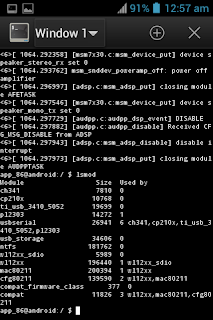 As I mentioned earlier you can you these devices with any serial communication application for Android. 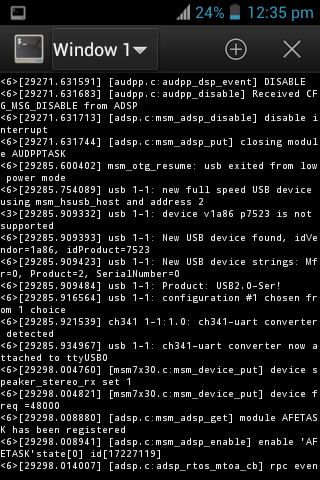 I personally use "android-serialport-api" as a terminal application.